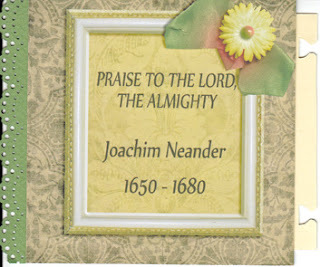 The hymn this fortnight is one I have sung in the past and if you would like to learn something about the man who wrote this great hymn please visit Patter's blog which you can find down on the right side of my blog.
" Worship attributes worth to God. O come, let us worship and bow down. 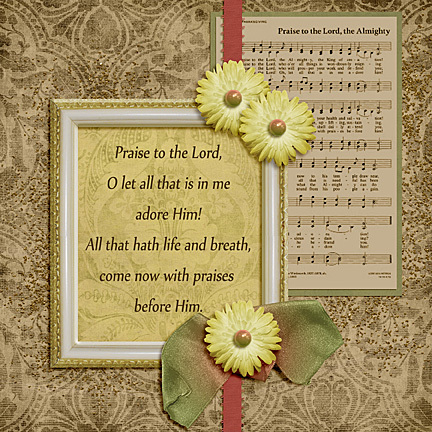 On my digital 6 x 6 piece I have shared the first two lines of the last verse of the hymn and is a reminder to myself that I need to remember to let all that is in me adore Him! Your work is so pretty! The last verse of the hymn really speaks to me too! It's such a beautiful song, isn't it? 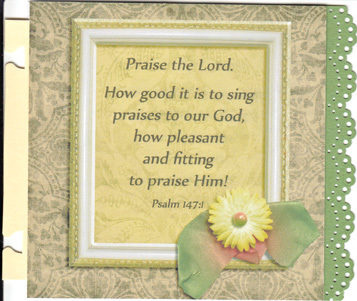 It should always be sung with much JOY and reverence! So very pretty. I love every item of it Anne-Marie. And like you, I want to let all that is in me "Praise the Lord."